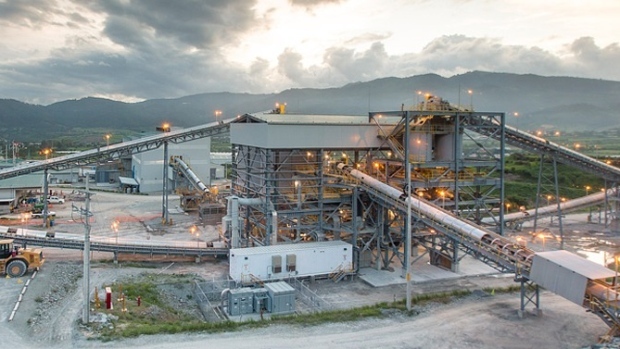 Vancouver-based Tahoe Resources Inc. says reports that heavy rains caused a leach pond at its Shahuindo gold mine in Peru to overflow and cause rainwater contamination are untrue. Tahoe says central Peru is experiencing exceptionally heavy rains, causing wide-spread flooding and mudslides throughout the region. It says that due to the heavy rains, a diversion ditch designed to keep rainwater out of Shahuindo's industrial area overflowed upstream of the permitted discharge point. But the company says at no time has the rainwater had any contact with process water or any contamination from industrial activities. Tahoe says Peru's Agency for Environmental Assessment and Control visited Shahuindo to investigate a complaint that the leach pond was compromised, has taken water and sediment samples, and is conducting an investigation. The mining company says the agency confirmed during its inspection that the leach pond did not overflow, and the agency is expected to issue its final report within several days.